Last December I went a little crazy buying (72) kinds of heirloom seeds from Baker Creek Heirloom Seeds. That coupled with the fact that we are greatly expanding our test garden this year, got me thinking about getting a jump start on the season with grow lights. Note: I bought the 4′ long version but they also have a 2′ foot version if you are tight on space. This should be purchased to match the size of your grow light. I got the 4′ heat mat. Hydrafarm MTPRTC Digital Thermostat For Heat Mats – This is a regulator that controls the temperature on the heat mat. Note: You can get all 3 on Amazon for about $110 (PLUS they are eligible for Prime shipping). I decided to set up the grow light (and gear) in the second story of my office (my office is aÂ guest house in my backyard). The location that was out of the way (so the light didn’t bother me) but close enough for me to check on the plants daily. A garage or basement would also work well. I have tried using a smaller grow light in my shed, but as the shed was not climate controlled it seemed to get too hot for the plants. The light (and frame) arrived in a pretty small box and snapped together in less than 5 minutes. I saved the box so that I could use it to store the light in frame when I am not using it. The heat mat (black with green writing above) came rolled up. I need to pile books on it overnight to get it flattened out. The striped towel is there only there because the table is glass and I wanted to insulate the heat mat. You can’t see it in the photo but the heat regulator is on the floor near the power strip. It has a cord with a probe on it that you stick into the soil of one of the plant pots so that it can read the temperature of the soil. 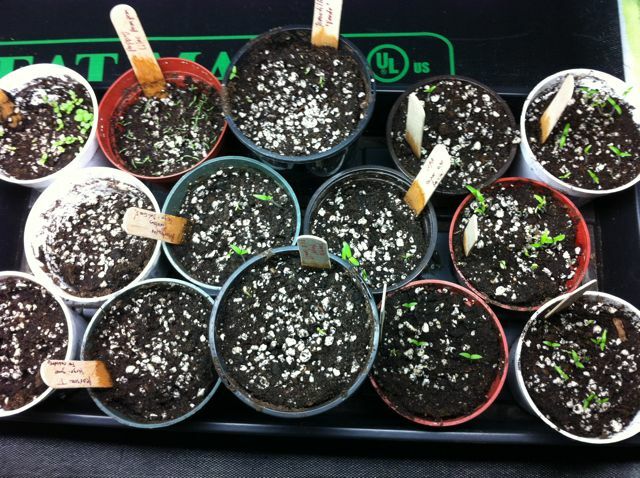 Different seedling prefer different temperatures. The mat comes with a heat chart printed on it. I kept mine mostly set to the mid 70’s. I hooked up the light to a timer on my Smarthome automation system so that it could automatically turn on and off, giving the plants 18 hours of light. You can buy a cheap timer at a hardware store or online that would do the same thing. My light was set to turn on at 7am and shuts off at 11 pm. 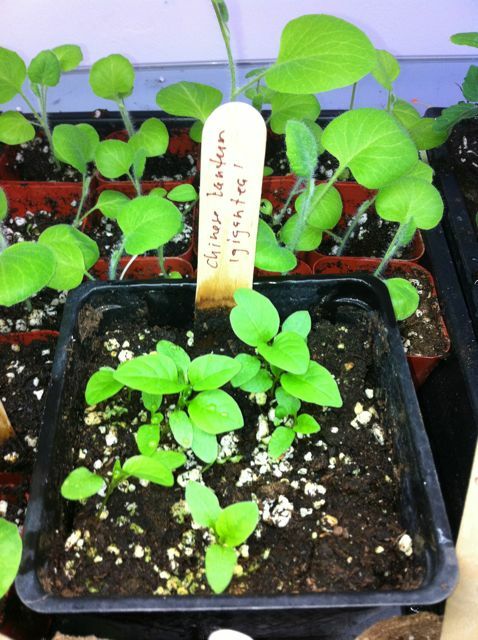 You can use any potting soil to start seeds, but If you really want to do it right they make special soil for starting seedlings. I bought some soil online (I don’t think it was this brand – but similar) and when I needed more I bought more at my local nursery. I started the veggie seeds in recycled plastic pots, labeling them all with popsicle sticks (also bought on Amazon) and a Sharpie marker. Generally you place the seed in the soil to a depth equivalent to the seeds width. So if it is really small like a poppy seeds you just sprinkle it on top of soil.Â A bigger seed like a pumpkin would get tucked down in soil deeper. I put about twice as many seeds as I thought I would personally need in each container so that I would have some seedlings to give away to friends and neighbors. Note the plastic trays under the pots, they are important to containing the water, keeping things tidy and allowing you to easy move seedlings around. I bought (4) of them on Amazon and then realized I need more so I bought another (4) at Home Depot. You should be able to find them at any decent nursery. I found that I needed to water the seedlings about every 36 hours (1 -1/2 days). Some times I went 2 days but they seemed a little withered. Once the plants were more established and had roots that went all the way to the bottom of the container I could pour water into the tray (maybe a 1/4 or 1/2″) to allow it to go a bit longer between waterings. This was taken about 8 days after I started the seedlings. The King Nasturtiums (in foreground) were the fastest growers and were fun to watch. They were also the first to leave the nursery. 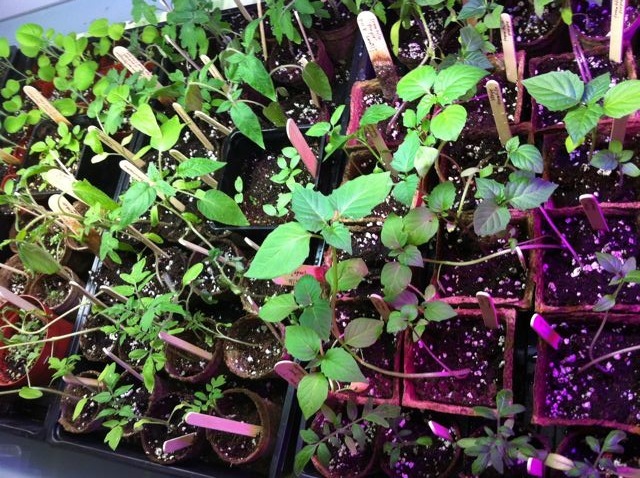 This photo shows the plants about 10 days. I started transplanting some of the tomatoes into individual decomposable pots (at right) once the seedlings were big enough to handle. You can get these post at the nursery they come in a few sizes. I found the bigger ones are the best, in that they buy you more time to let the plant grow before it gets planted in it’s final location. If you want you could start individual seeds in pots like this, but I found it to be more space efficient to start seeds in bigger pots and then separate them as they got larger (if needed). The light can easily be adjusted up and down. You probably should keep it adjusted to be a few inches above the plant. In this photo I had pulled the light up because I was working with the plants. Day 15. Poets Flowers and Chinese Lanterns are growing pretty quickly. Day 18. Tomatillos really thriving. 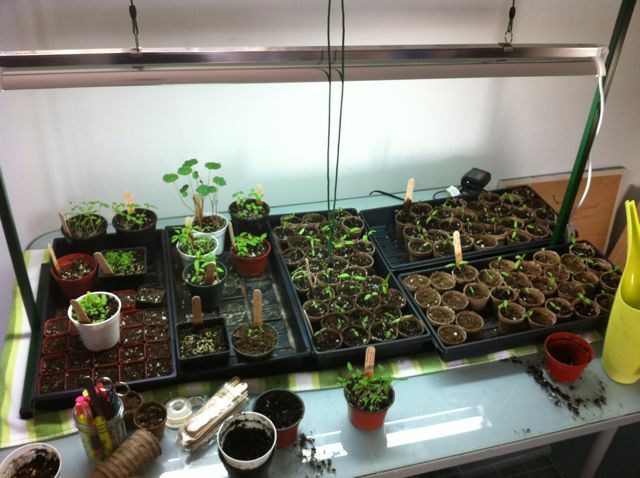 Once I started the second batch of seedlings I needed to extend my work area, as I wanted to keep some of the round 1 seedlings under the grow lights until it warmed up outside more. 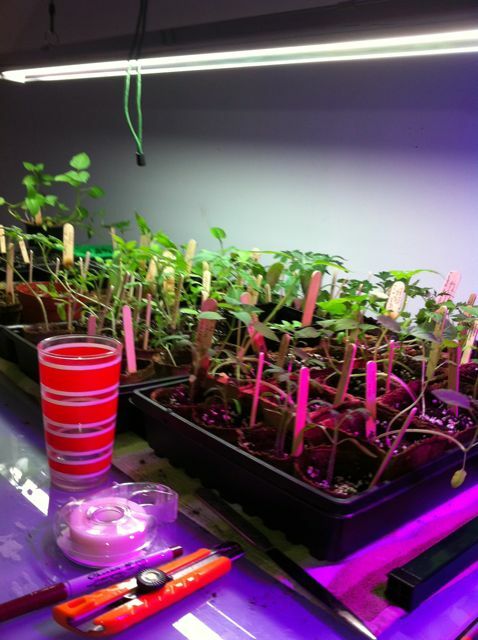 I added an LED grow light (with pink-purple color) to the right of the T5 light. The LED is neat in that it cool, uses less energy and creates light in wave lengths that the plants can process, so it is more efficient. But this efficiency comes with a bigger price tag – almost $300. I probably wouldn’t recommend it for someone just getting started. I think these are usually used by growers who daisy chain them together in more commercial applications. But I wanted to try it out in my test garden. I haven’t done any real scientific tests between the lights but the plants seem to thrive under both lights. 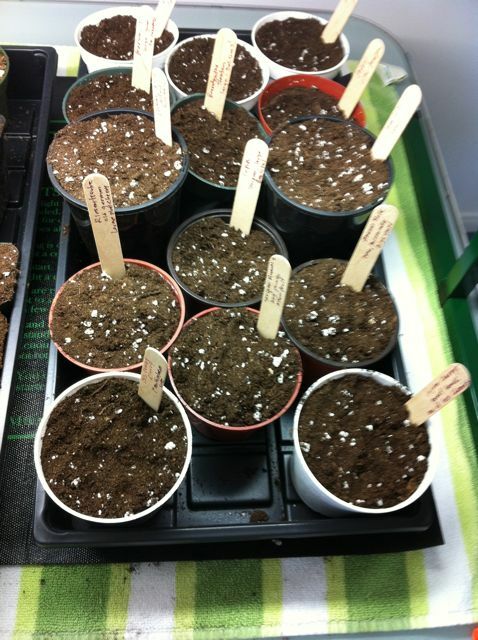 Day 21 – Transplanted tomatoes. 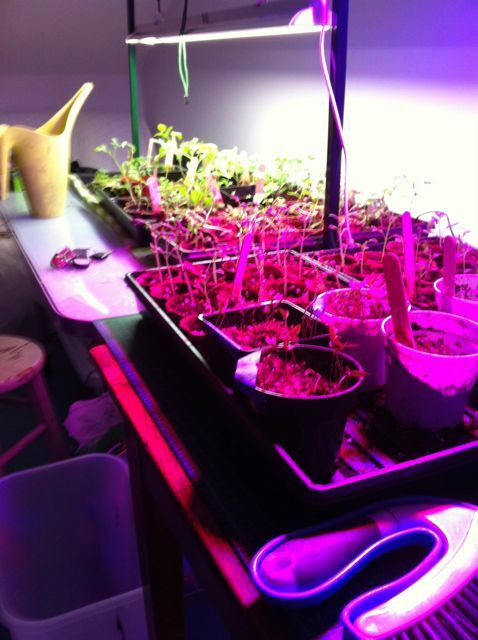 Plants under LED grow light in foreground. 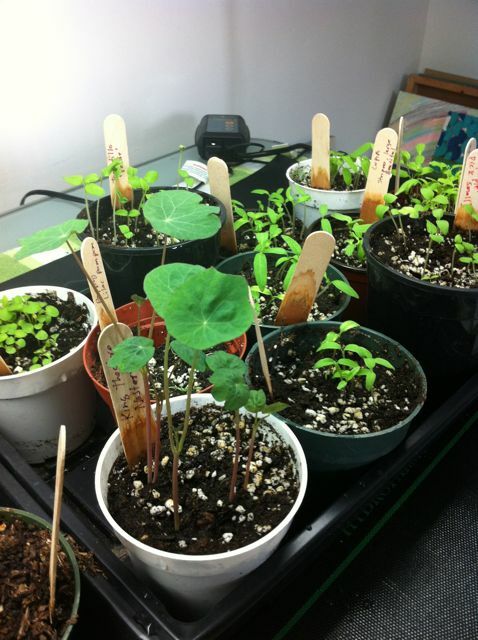 I kept seedlings under lights for anywhere between 2 weeks – 5 weeks before I took them outside to plant them in the garden. I will note that the tomatoes I took outside earlier are healthier and much much bigger now than the tomatoes I kept under grow lights longer. So keeping them inside longer is not always a better idea. Eventually I started moving plants outside as the weather warmed up (mid-March – early April). I put the plants in semi-sun for several days to allow them to acclimate to outdoor weather. They didn’t have their cozy heat mat under them anymore! Also – Some of them started getting eaten by bugs and caterpillars once they went outside so I tried to keep an eye on them. They had had no bug predators when they were inside. I planted the seedlings in raised beds and pots, with drip irrigation. I placed them close together with a modified square foot layout.Â It is still pretty early in the season (April 27th). But the garden is already booming and producing vegetables and herbs. 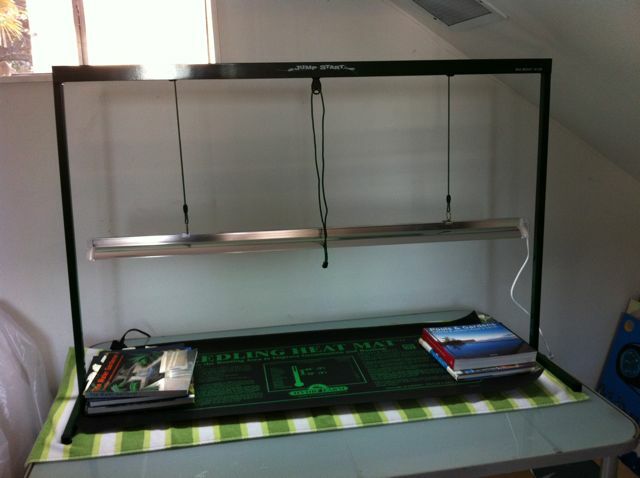 If you have any questions about the grow lights or my setup please leave a comment below. 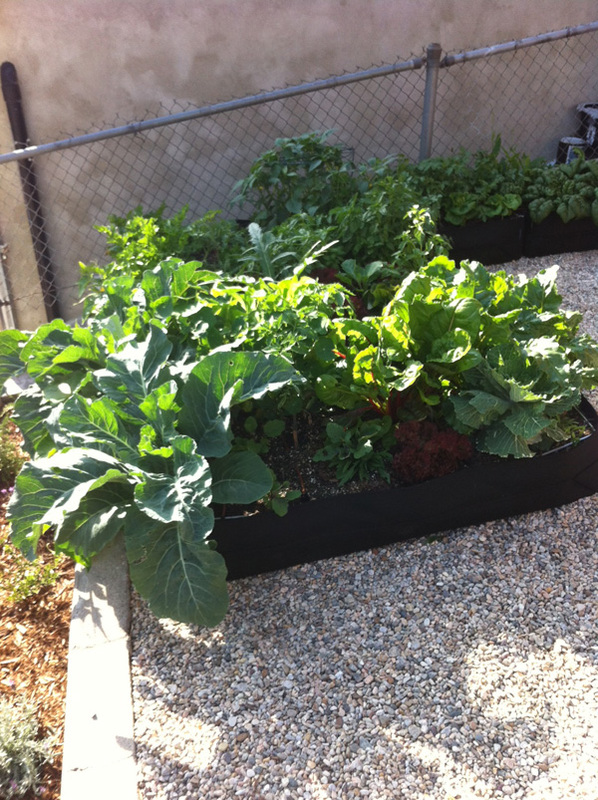 + I’ll do a separate post on how I set up the drip irrigation in the raised beds soon.